Suggest the OP edit the question along with the other usual language I use in such cases because their question is unclear and so forth but then I select Add Comment button I suddenly see the This is an Audit box. 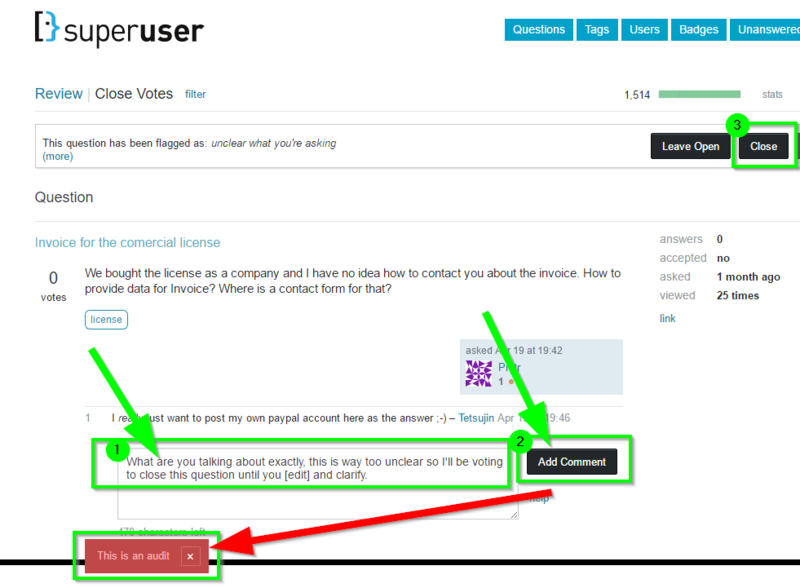 Is this the expected behavior by design for this pop up to occur during the Review module process of leaving comments on such test questions? Note: Not sure if I have the correct tags on this or not. This is intended. Posts used as known-bad audits frequently have a handful of comments from people explaining why the post is poor. Showing these would remove the necessity of thinking about the post on its own. So to make sure reviewers are actually considering the posts, some comments are hidden. Now, an attentive and helpful reviewer like you would be likely to leave an explanatory comment to help the poster improve. Considering, though, that there might be hidden comments already saying what you planned to say and that the post has for some time already been handled appropriately, the system doesn't put your comment through.